Another star has joined the endless list of generous celebrities who have made substantial donations toward the earthquake victims of Haiti. 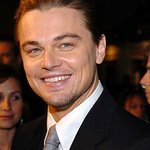 Leonardo DiCaprio's munificent donation of $1million will be distributed immediately to aid in the support and relief of the people who were devastated by the natural disaster that occurred a little over two weeks ago. The funds, made through the Leonardo DiCaprio Foundation, will also help in the redevelopment of Haiti’s disintegrated infrastructure. Former Presidents Bill Clinton and George W. Bush, are both extremely appreciative of Leonardo’s generosity. Mr. Clinton states, "I am grateful for the generous gift Leonardo DiCaprio and his Foundation have made in support of our Clinton Bush Haiti Fund. Combined with the outpouring of donations from Americans and citizens around the world of all means, this support will go a long way to help save more lives, reach more people with emergency assistance, and help the Haitian people build their nation back stronger and more secure than it was before the earthquake." Other famous personalities who donated at least $1 million to the ravaged Caribbean island include ex-girlfriend Gisele Bundchen and actors Sandra Bullock and George Clooney.